In a Nutshell: The banking industry has been slower than other business sectors to adopt practices that encourage workplace diversity and inclusion. Between 2013 and 2018, a push to be more inclusive yielded only two new female bank CEOs. KeyBank CEO Beth E. Mooney understands the challenges women face in today’s workforce. Her leadership has pushed KeyBank to become one of the most diverse and inclusive workforces in America — not just in banking. The institution’s KBING (Key Business Impact Networking Groups) employee resource groups give a voice to underserved segments of the population, and its Key4Women program provides networking and educational resources for women in business. The financial institution’s efforts make KeyBank a leader in fostering diversity and inclusion. Financial institutions are one of the final sectors of American business where leadership positions are occupied almost exclusively by men. While many of these organizations talk about diversity and inclusion practices in their press releases and quarterly reports, the numbers show a different story. The unimpressive ratio of male-to-female CEOs at major US banks is a direct result of the lack of talent cultivation in the field and goes against the growing trend among non-finance businesses of creating a diverse roster of employees in executive-level positions. In 2013, 38 women held the coveted CEO position within US public banks. While every other industry has increased its C-level diversity exponentially, banks have added only two female CEOs over the last five years. But some progress exists outside of the C-suites. Women now occupy 22% of general counsel positions at financial services firms in the Fortune 500 — and 26% across all Fortune 500 firms. A December 2017 poll of 2,000 American workers conducted by Berlin Cameron, The Female Quotient, and Harris Poll found that half of the respondents (54% women and 46% men) said they’d prefer to work at a female-led company over a male-led company. And 81% of women, as well as 59% of men, said that when they see women in leadership positions they’re encouraged to believe they too can achieve a leadership role. Beth E. Mooney is CEO of KeyBank, and one of the few female bank heads in America. As such, Mooney has worked to put the Cleveland-based institution atop the list of the most diverse and inclusive financial institutions in the US. 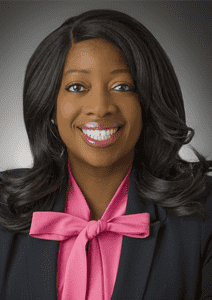 Earlier this year, KeyBank named Kim Manigault as Chief Diversity and Inclusion Officer. As part of her duties, Manigault is responsible for championing a diverse workforce and leading the long-term planning and execution of related initiatives across the organization. Kim Manigault is KeyBank’s Chief Diversity and Inclusion Officer. 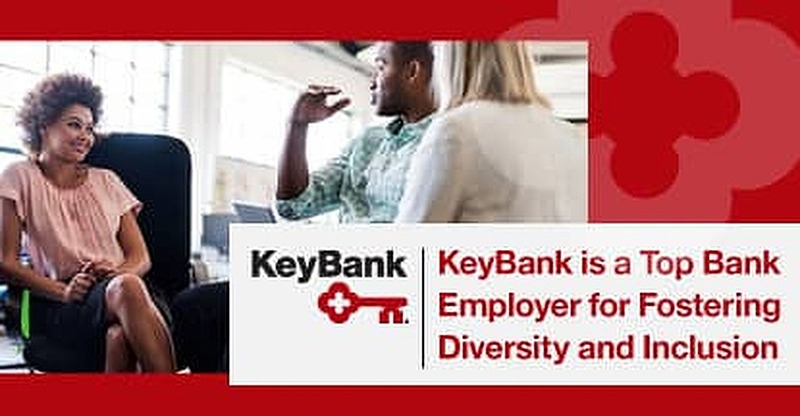 KeyBank takes an inclusive approach when recruiting new employees, and works with existing employees of all genders and ethnicities to maximize their potential for the betterment of their careers and the institution’s future. The processes include the implementation of employee resource groups, which KeyBank calls KBINGs (Key Business Impact Networking Groups), that bring together a diverse collection of individuals from within the company to help initiate change and improve dialogue within the institution. KeyBank currently has 10 KBINGs in place, with two more in the pilot stage. Existing groups focus on the needs of African-Americans, Asians, and Hispanic-Latinos, as well as those of young professionals, women, people with disabilities, members of the military, and members of the lesbian, gay, bisexual, and transgender (LGBT) community. While those different groups sometimes have conflicting opinions on certain topics, the heightened level of conversation often leads to greater change that affects everyone involved. Manigault said KeyBank’s mission is to create an environment where its employees feel empowered to demonstrate their full potential within the organization. To better achieve that, the institution gives its employees time to focus on causes and groups that matter to them. Employing a female CEO gives KeyBank a unique perspective on the challenges female entrepreneurs and leaders face in today’s society. The bank created its Key4Women program in 2005 to better address the needs of women in business. Key4Women, led by Barb Smith, KeyBank Senior Vice President and Director of Key4Women, is designed to help close the access to capital gap women have faced and to provide the tools and resources they need to support their personal and business financial success. “Our organization identified a need to better serve our client base and communities and be more effective for the people who look to us for products and services,” Manigault said. Key4Women welcomes women business leaders and owners from across the communities they serve and provides them with access to advice, networking, education, and capital to help them achieve their goals. Members receive customized financial services and advice from a local Key4Women certified advisor, as well as access to intellectual resources and articles on a variety of topics. The free program also holds nationwide networking events where like-minded women can meet and brainstorm new ways to grow their businesses. Manigault said KeyBank doesn’t just talk about expanding its diversity and inclusion practices — the company bases its entire workplace structure on shared experiences where each employee, and the company as a whole, can learn from others. To prove that point, KeyBank distributed an anonymous employee engagement survey that asked staff members if they believe the organization commits itself to diversity and inclusion. So, while many nationwide banks struggle to adjust to society’s growing inclusion practices, KeyBank has positioned itself as a forerunner of a movement that only gets stronger as the message of empowerment is spread.